Kara from the blog, "Well, One of My Blogs". Congratulations! Email your contact information to crunchychickenblog@gmail.com and I'll mail that book out to you directly! 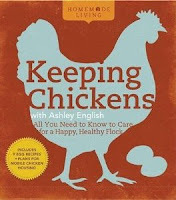 I'll be doing another Ashley English book giveaway this Saturday, so stay tuned!